These famous prostate stimulators have an overwhelming reputation for being the best p-spot massagers ever invented. They are scientifically designed to massage the prostate gland and the perineum, which greatly enhances sensitivity and sexual function. These famous prostate stimulators have an overwhelming reputation for being the best p-spot massagers ever invented. They are scientifically designed to massage the prostate gland and the perineum, which greatly enhances sensitivity and sexual function. 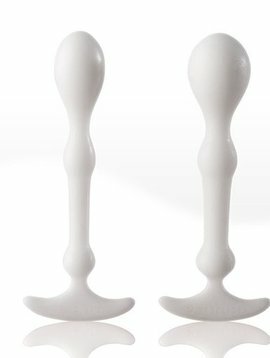 The ergonomic design improves and induces orgasms for men. Progasm has the most girth to its design and is considered the most advanced design in the evolution of male p-spot stimulators. Made from a firm, medical grade plastic that is body safe and completely non-porous.